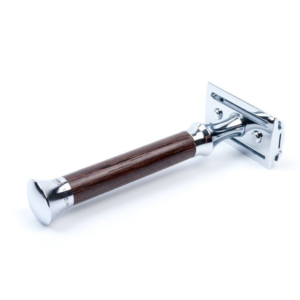 The MÜHLE R41 traditional safety razor, Aesthetically Is a very cool looking razor. The open head looks like the tusks of the wildest of boars. 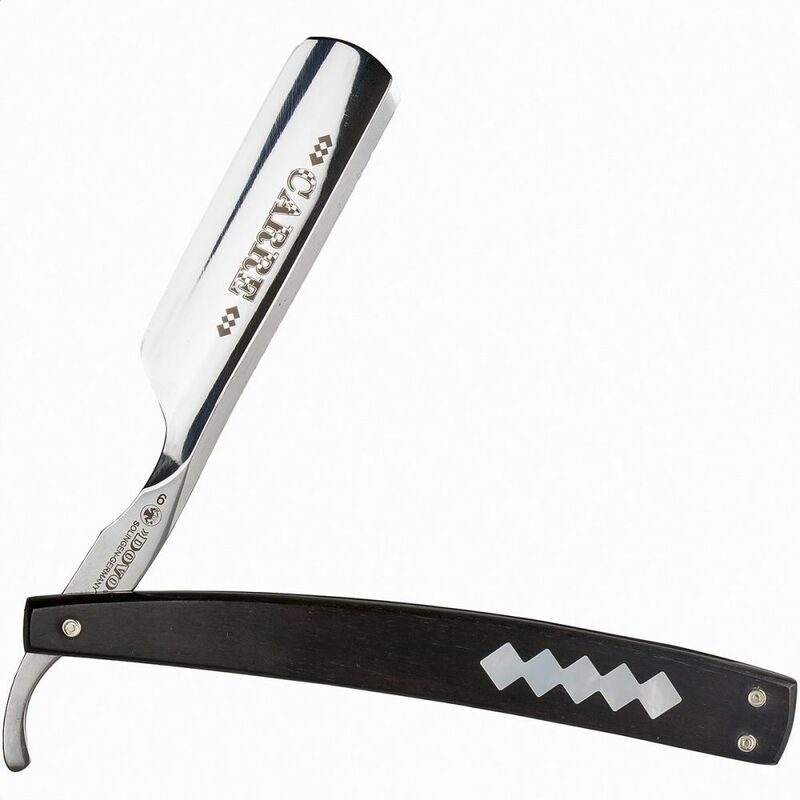 We love It for the latticed chrome work up the shank, It Is a very pretty razor Indeed. Lined with brass the R41 Is the perfect weight for a It’s 94mm. Considered Muhle’s debt collector the R41 Is no shrinking violet. I would not suggest this razor for. 1 a beginner, 2 for an everyday shaver or 3 someone how has light hair growth. 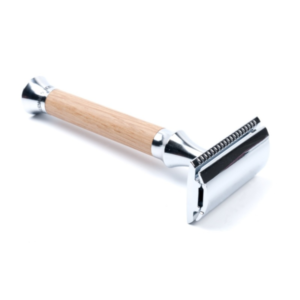 The MÜHLE R41 traditional safety razor, Is an aggressive razor. 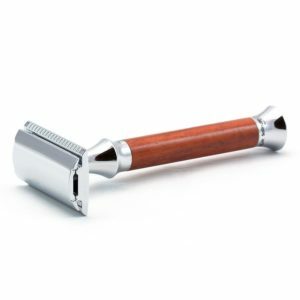 This powerful razor separates Into several parts making It very simple to clean and replace blades. Compatible with double edged blades that will be stocked In most chemists, also Edwards sells 8 different brands of DE blades for you to choose from. Safety razors are cheaper to maintain than cartridge razors as the blades cost a fraction of the price. This razor comes with 1 free blade, we also stock Muhle stainless blades. At Edwards traditional shaving emporium we look after our customers with free UK next day delivery. We also have a wealth of Information on our blog about traditional wet shaving. Being technique or product Information and also lots of historical factoids.